Born in a village in Sudan, kidnapped by slavers, often beaten and abused, and later sold to Federico Marin, a Venetian merchant, Bakhita then came to Italy and became the nanny servant of Federico’s daughter, Aurora, who had lost her mother at birth. 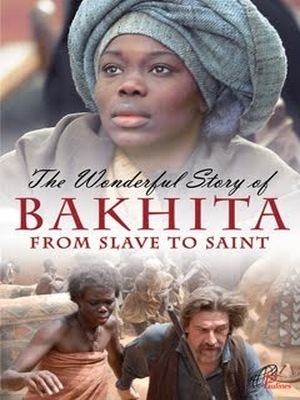 She is treated as an outcast by the peasants and the other servants due to her black skin and African background, but Bakhita is kind and generous to others. Bakhita gradually comes closer to God with the help of the kind village priest.